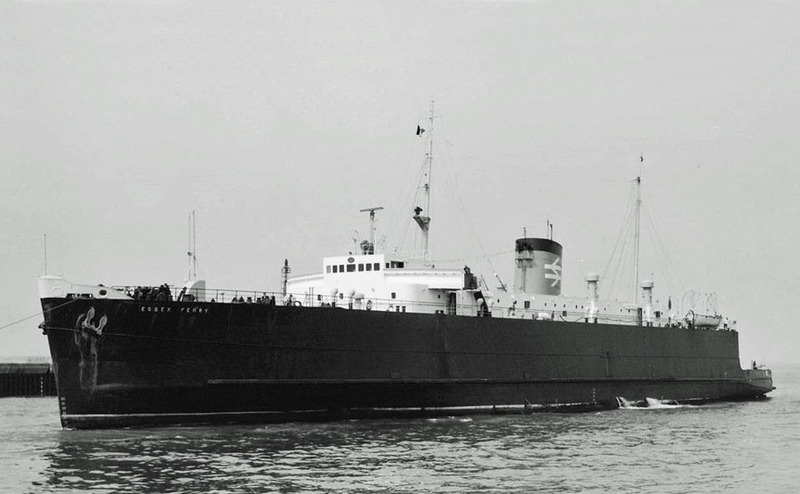 October 26th 1956: Launched at a cost of £739,521. 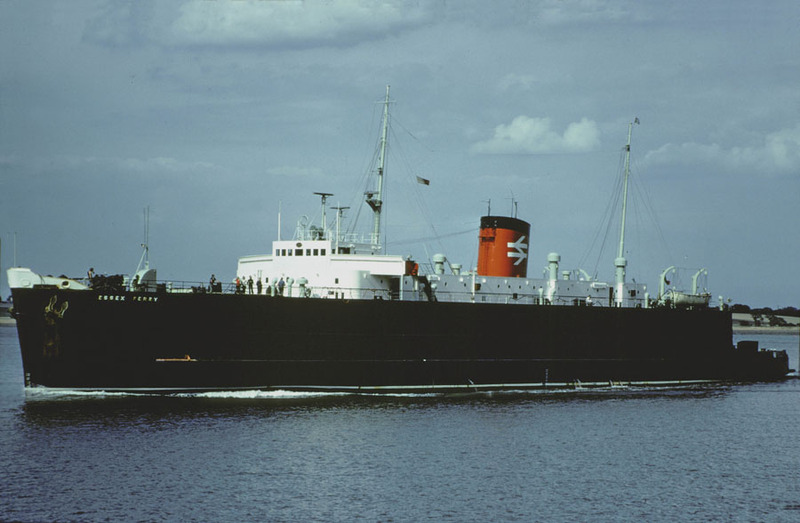 January 13th 1957: Delivered to British Transport Commission, Southern Region, Harwich, England. 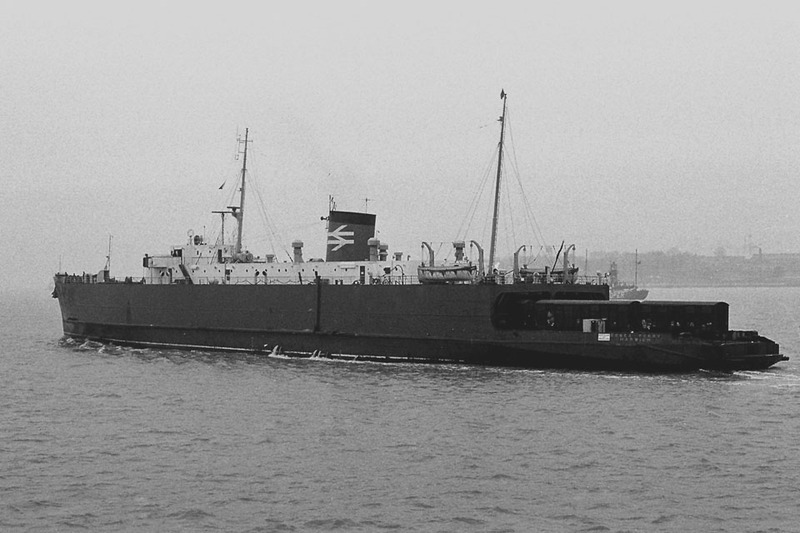 January 1957: Introduced between Harwich – Zeebrügge. 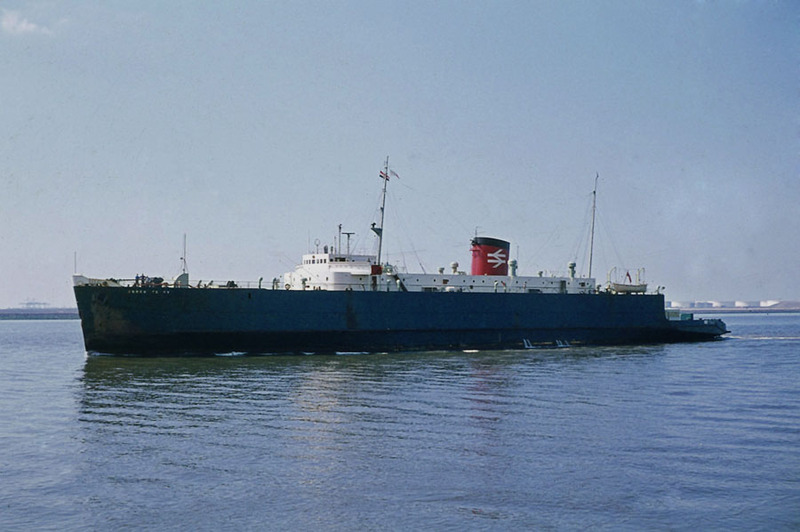 May 23rd 1972: Short period between Holyhead – Dublin. 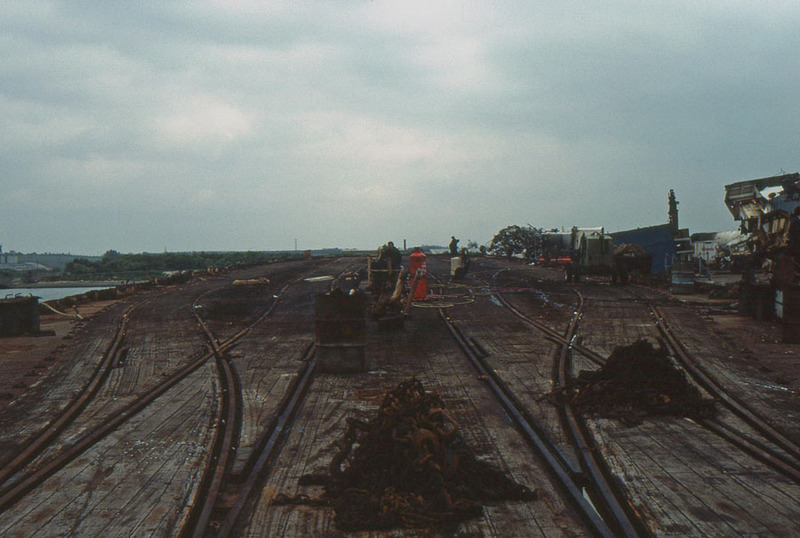 1973: Stern modified to fit Dunkerque rail link span. 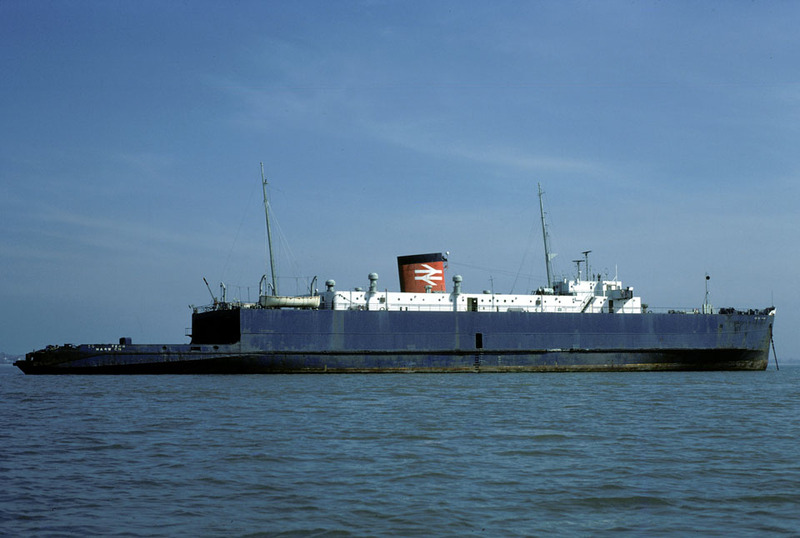 January 1st 1979: To Sealink UK, Ltd.
June 12th 1979: Modified to fit the Train Ferry Berth at Dover. June 1979: Relieved at Dover. 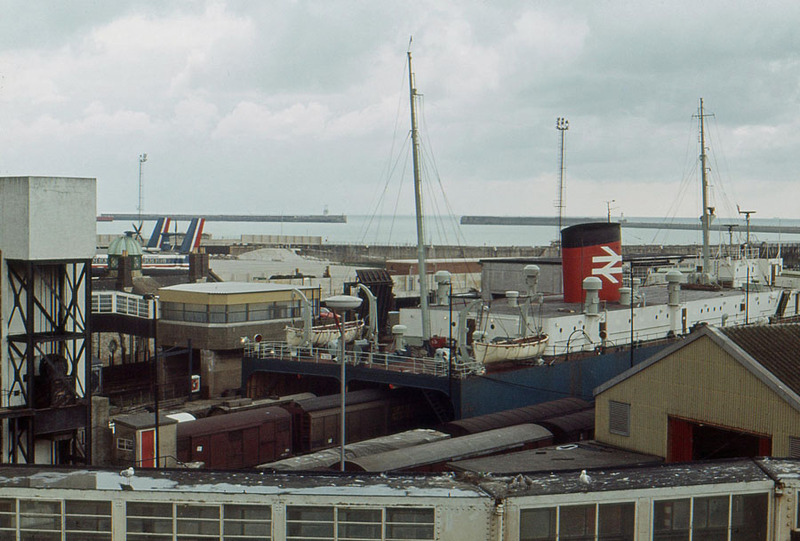 January 6th /7th 1982: Last trip Dunkerque – Harwich. 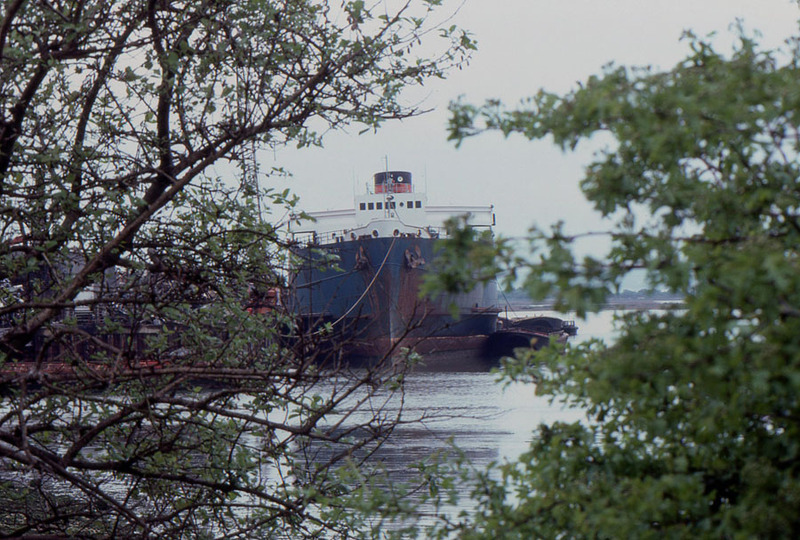 1982: Laid up in the River Blackwater, Essex. 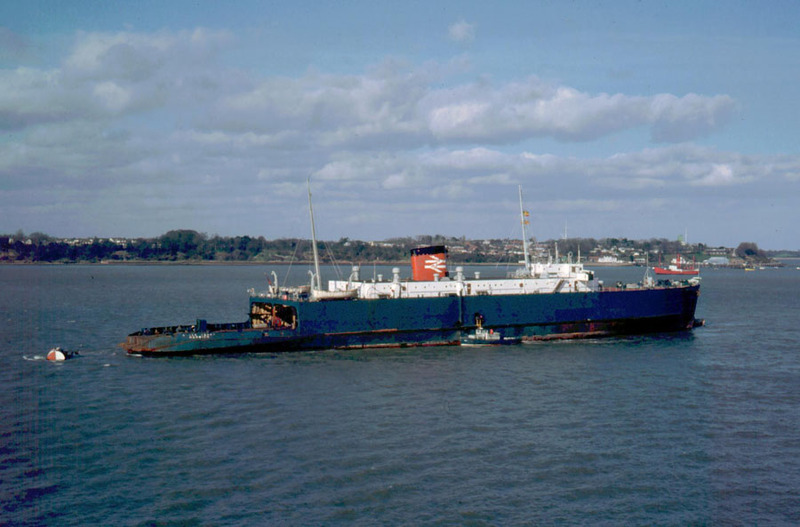 April 27th 1983: Towed from Harwich to Rainham, Kent. April 28th 1983: Sold to Aston Dean Ltd., London for £37,000. 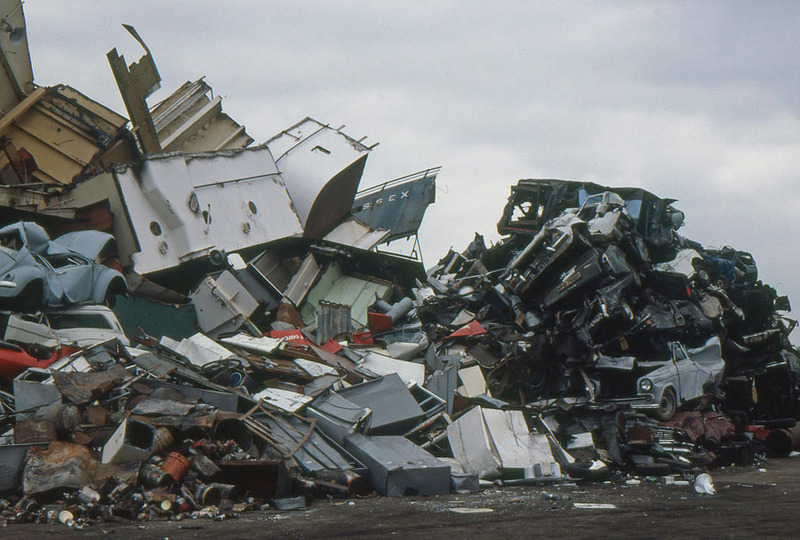 April 29th 1983: Arrived at Medway Secondary Metals for scrapping. 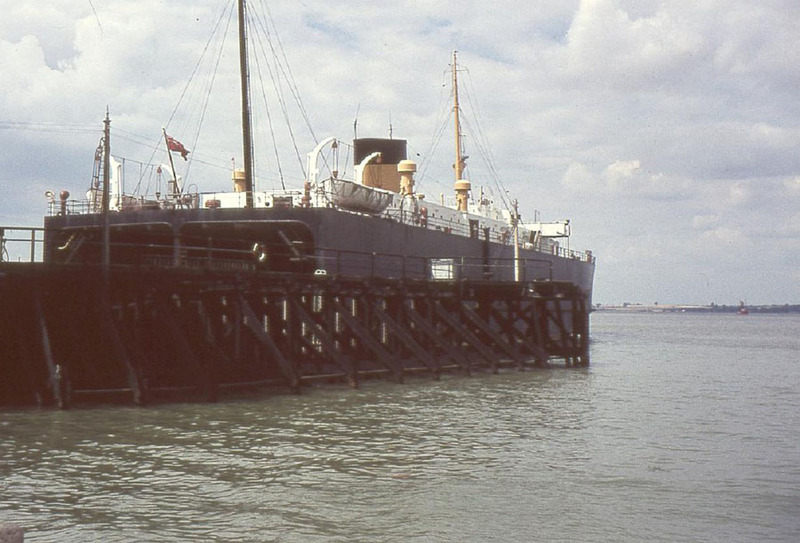 June 10th 1983: Rebuilt as a pontoon and renamed ESSEX FERRY PONTON. Towed by the tug SUN LONDON from Rainham to Haugesund, Norway. 1983: Used as a support pontoon for the North Sea oilrig ALEXANDER KIELLAND. All information is believed to be correct and no responsibility is accepted for any errors or omissions found. All items included in this article are subject to © copyright. We would like to take this opportunity of thanking: Brian Fisher, Tony Garner, Ted Ingham, A G Jones, Ken Larwood, Derek Sands, Ken Smith and Andreas Wörteler for their assistance in compiling this feature. 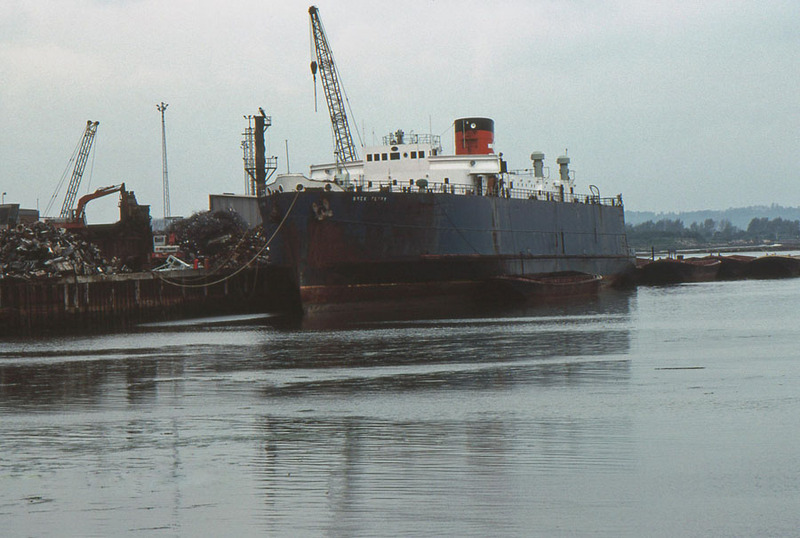 I was extremely pleased to find the photos by Ken Larwood of Bloors Wharf, in Rainham, Kent, when Medway Secondary Metals was operational. 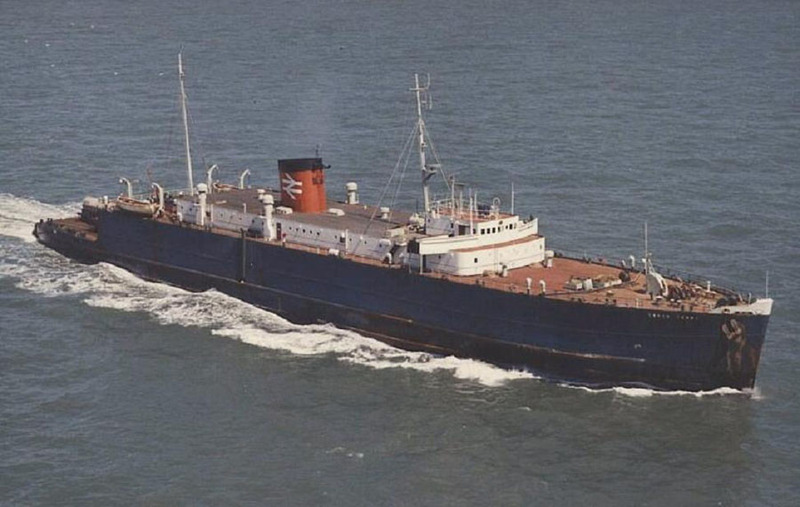 Although I and many others remember watching shipbreaking and seeing the jumbled heap of scrap metal, I have been trying in vain to trace any pictures. 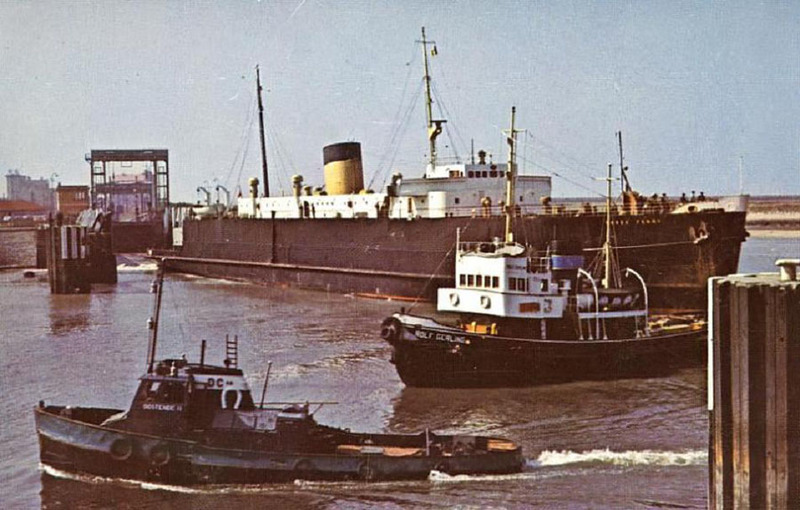 I’m currently trying to write a brief history of Bloors Wharf from the 16th century onwards, with the idea that there ought to be some record kept at the Visitor Centre at the Riverside Country Park which now includes the old wharf. Would Mr Larwood allow one or more of his photos to be reproduced, please? I will get in touch with Ken to see if it’s OK and get back via your email. I see NO PROBLEMS as Ken wishes all to see his pics.